ENVIRO INTERNATIONAL CORPORATION (EIC) is one of the leading Manufacturers, Suppliers and Exporters of Dust Suppression System, Centrifugal Fan, Air Washers, Bag Filters, Decorative Beads, Pneumatic Conveying Systems, Stock Yard Sprinkling System, Fog Cannon, Belt Conveyor System, Screw Conveyor System, etc. Sprinkling system is used for dust suppression of stockpile. 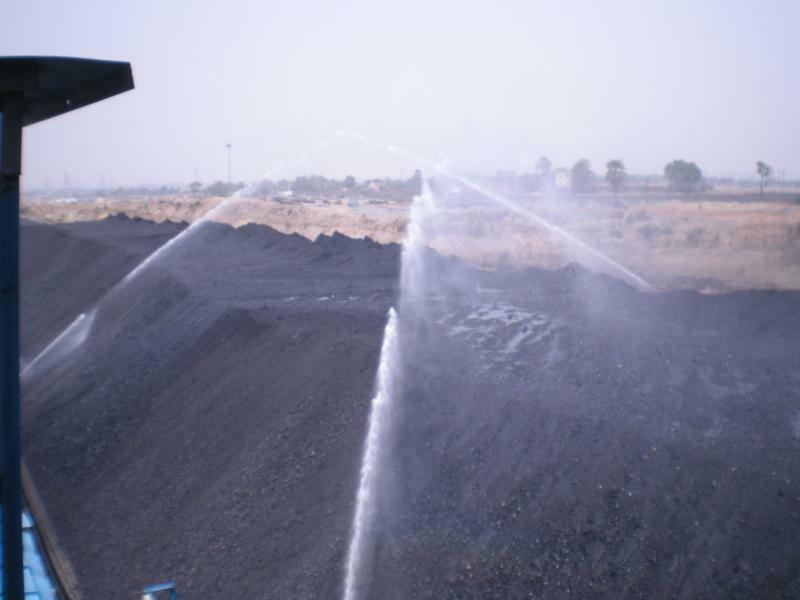 Water is sprayed on the stockpiles to keep the coal damped and prevent dust to flying around . 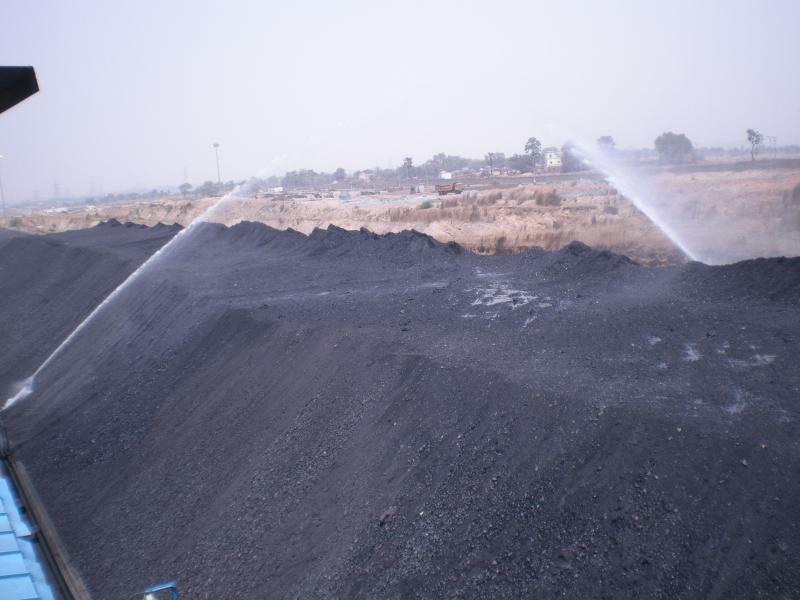 Sprinklers Irrigation systems is used to control dust on outdoor stockpiles, but when the stockpiles are excavated, dust will arise as the drier material in the pile is exposed and moved around. An sprinkler system uses a lot more water than a fogging system – almost 10 times , sprinkling system is chosen after a lot of considerable planning and forethought. One Sprinkler can move around its axis and can throw the water even up 20-40 m away. Uses : Stockpiles and haulways.